As one example of how Pope Francis’ emphasis in Amoris Laetitia on “accompanying” gay and lesbian Catholics, together with his example of a more sensitive tone in pastoral care, comes news of a new initiative from Bishop Terence Drainey in Middlesbrough diocese. This is described in an article in the diocesan newspaper, Middlesbrough Catholic Voice, written by Fr Tony Lester, O.Carm. Fr Lester was well known to London lesbian and gay Catholics of what were the Soho Masses, as a firm supporter of the congregation, and from time to time was a celebrant at our Masses when he could get down from his regular work in York. Catholic organizations have a particular responsibility to respect them, particularly by honoring their own gay staff members and clients. The credibility of Catholic organizations as Christian and as humane is at stake. Debates about social issues tend to bring out blanket statements, sweeping claims, dire threats and feverish reporting. They usually carry historical baggage that needs to be unpacked and the contents tested against contemporary reality. This is true also of the coming plebiscite on gay marriage [in Australia: Editor]. Hundreds of pro-gay church leaders crossed the Nashville Statement’s “line in the sand” by rejecting it as heresy, and issued counter-manifestos claiming homosexuality is holy. 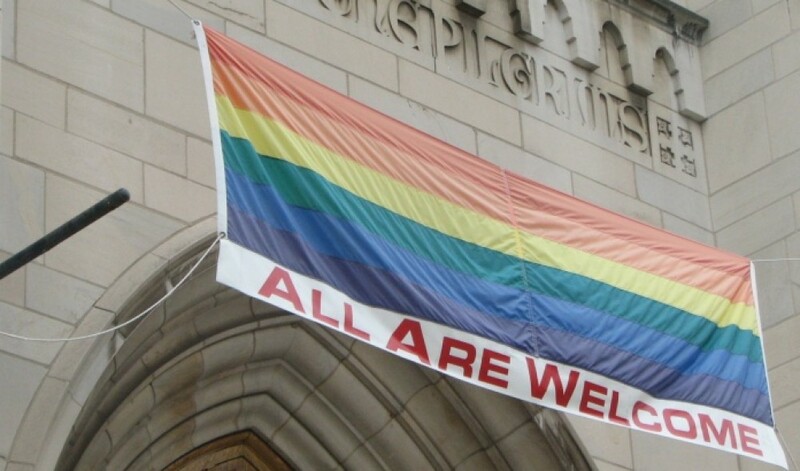 A group of over 300 pro-gay Christians and LGBT advocates have endorsed and published a counter manifesto called Christians United in direct response to the Nashville Statement. The 14-article Nashville Statement is a manifesto that clarified mainstream Christian teaching on marriage and sexuality, as endorsed by over 150 interdenominational Christian leaders at a Southern Baptist Convention conference on Aug. 25. “There’s no such thing as L.G.B.T. life in America, a country even more divided on this front than on others. There’s L.G.B.T. life in a group of essentially progressive places like New York, Maryland, Oregon and California, which bans government-funded travel to states it deems unduly discriminatory. Then there is L.G.B.T. life on that blacklist, which includes Texas, Kansas, Mississippi and South Dakota. How does this relate to the world of Catholic LGBT issues? I think Bruni’s analysis of the political sphere very accurately reflects the ecclesial sphere, as well. In other words, I think that Catholic LGBT people are more affected by local church attitudes and practices concerning sexual orientation and gender identity than they are by the same influences that are expressed or enacted by higher levels in the Church. In other words, what matters most for LGBT Catholics is not what the hierarchy says or does but what their local pastor and parishioners say or do.